Over years, cats, and how they view the world revolving around them, has been a subject to numerous of myths, misbeliefs and even intentionally played false acquisitions. Some of those myths are already gone, but some, unfortunately, live up to nowadays. 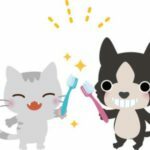 There is no better way to remove plaque than regularly brushing teeth – it’s true for cats, as well. For a long time it was, and still is often believed that dry food scrubs tartar off the cat’s teeth. However, vets specialized in dentistry, do not quite agree. They say dry food also makes the cat dehydrated; thus, his saliva, becomes too dense to perform its natural teeth cleaning function properly. 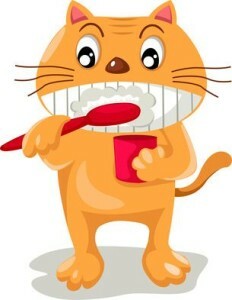 Veterinarian Doctor Jean Hofve in her article “Does Dry Food Clean the Teeth?” states she has examined thousands of cat mouths, and “there was no real pattern to the dental and periodontal disease” – both dry and wet food eaters were observed with good and bad mouths, and she believes it is more genetic that food dependent. What we suggest – don’t rely on products, like oral dry food, or chews to clean your cat’s teeth. 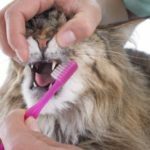 There is no better way to remove plaque than regularly brushing your cat’s teeth and regularly visiting dentist for checkups – even for cats. You don’t entrust your dental health to chewing corn flakes, do you? Our prediction is – this myth will continue to live and huge cat food manufacturers will help make it happen. Cats have uniquely built eyes, which allows them to see in conditions what we humans assume as “total darkness”? That account for two myths. And they both, while being contradictory, are incorrect. The thing is, cats do not see in total darkness. They are better in using available light, however, it means they still require some amount of it. Total darkness will not work. 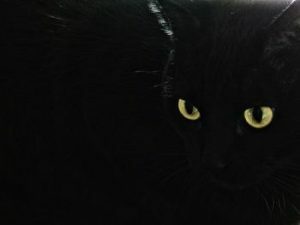 Other part is, that cats indeed can still see in conditions most people would describe as total darkness, while, still, their vision will not be as good as in dusk or dawn conditions. Bright light, however, again accounts for decreased vision of the cat. In addition, it’s necessary to mention that cats do not have very good vision, as, in a hunt, most important skills are hearing, the touch, and the sense of smell, while vision becomes important only in a short moment, when the mice is within a jumping distance from the cat. Many owners will report their cats gaining weight after spay/neuter surgery. We will not challenge those observations because it indeed happens; but there is one chain in the link of events – it’s activity. 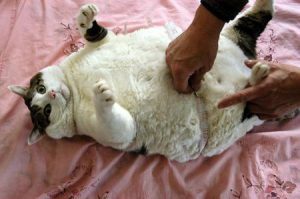 Spaying or neutering itself does not cause cats becoming fat – it’s the low activity and overfeeding which does. Quite often, people do spay or neuter their pets because they are highly energetic or even aggressive. Magically (or we could say – hormonally) it helps – altering a cat reduces its activity. However, it also means some changes in the cat’s diet and playing schedule must be done. You can find more information about obesity in cats here. If normally cat, who, let’s say is free fed, runs trough the house, claws carpets and then bites everyone whom he sees, eventually is neutered, he may lose interest in all the behavior expressed before. That’s good because we want our cats be calm, but this also means, if no playing is introduced, his only remaining activity will be eating. And, if he is left on free feeding, he may indulge it endlessly. 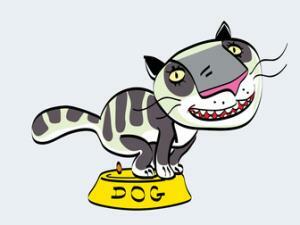 Play with your cat regularly!! It has many benefits. This myth is likely made up as an excuse to feed dry kibble food. We agree, it’s easier. What can actually beat pouring few kibbles in the bowl few times, or even once per day? Nothing! 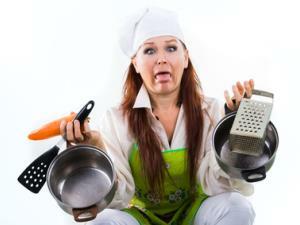 However, preparing food at home, depending on the recipe is not at all hard or time consuming. For example, we make food for three cats. Approximately twice a month we prepare it and pack daily amounts separately and put them in the freezer. Whole process, including packaging takes about an hour. Two hours per month to feed three cats? Sounds like a vacation. The expense part? Our recipe, which includes chicken tighs, chicken heart, liver, as well as several vitamins and amino acid taurine, costs about the same as medium quality dry food, which is stuffed with grain. Price is the same, but the quality and digestibility are high, high, higher for the home made meal. We choose the latter one. Beware though, getting cat food recipes from unreliable source can cause damage to your cat, as well as consult your veterinarian in case of specific health conditions of your cat. Many believe this is true. And not only that, they assume cats do many thing because of revenge, like knocking objects over, scratching their sofa or even vomiting on their clothes. The last one does not ask for any proofs, cats do not know how to vomit intentionally. But claw marks and urine or poop is not viewed as something bad or wrong by the cat, therefore, there’s no reason why would he use it as a tool for revenge. If you read our article about top reasons why cats eliminate outside the box, you will know, cats may exhibit this behavior due to stress or insecurity for his territory and resources. Did you get the connection? 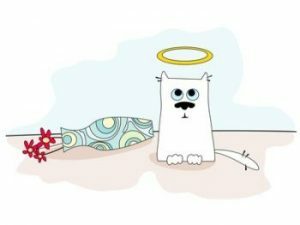 Scolding a cat – it’s stress. And stress leads to inappropriate elimination. 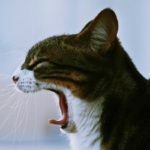 Of course, the scolding alone, isn’t likely to cause stress which is large enough, it’s just that your cat may be already under significant amount of stress constantly, and the scolding is when it peaks and causes your cat exhibit inappropriate eliminations. If the latter appears to be your case, read our article about most common causes of stress in cats. This myth has been considered as truth even in a world of animal professionals for a very long time, and that is the reason why it’s hard to change and bust this myth. Cats indeed are the most self dependent of all animals, and recently we read about a research, which suggested that cats are the only ones of domesticated, both pets and farm animals would survive if humans were gone one fine day. However, that does not mean cats do not require attention from their owners. But do you know which is the most common reason for cats misbehaving? It’s the lack of attention from their owners. If your cat has a behavior problem, any behavior problem, we can guarantee, part of the problem will be increased playtime. Clawing, aggression, inappropriate elimination. Any. To many owners, scolded cat appears guilty. But can they tell a difference between expression of guilt and confusion? This myth is still very popular; however, there is not bit of a truth in it. 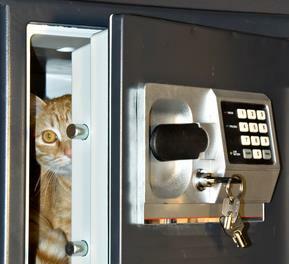 We do trust people when they say their cat appeared guilty. That is because we believe this is how the cat appeared to the owner. However, this is not what the cat actually felt. Scientific world tells cats, and many other animals, do not feel guilt and many other human emotions. Cats live in the present and don’t worry about irrelevant stuff like the past or the future, the guilt or remorse. They just live. If any of those who scold their cat for eliminating outside the box would do it at any other moment, for no reason, we can assure the cat’s expression would be the same – it’s called confusion. When we took two cats from an owner who was about to move away and could not get our cat, we took a look at vaccination record, and found out that cats were not vaccinated since the first shots after their birth. When we asked why, the previous owner was surprised and ask, why would it’d be necessary if cats never go outside. However, the truth is, viruses, worms, ticks and fleas can easily travel indoors with your clothes, shoes or other items and, similarly like outdoor cats, indoor ones should be wormed and vaccinated, as well as tick and flea medications must be applied. This is an old myth, which, unfortunately, is still pretty popular, and we know there are gynecologists who still suggest women getting rid of their cats upon becoming pregnant. This is backed up by the fear of parasite called toxoplasmosis which is commonly found in cat feces. The dangerous part is that invasion may be extremely dangerous the the fetus. However, that should not be a reason of giving a cat away upon becoming pregnant. Toxoplasmosis bacteria can transfer to humans in several ways, like by eating raw or semi-cooked meat or ingesting contaminated feces. That is right, ingesting. How can one ingest contaminated feces? By cleaning litter box and not washing their hands afterwards. Of course, if you are pregnant, it’s best and much safer if someone else from the family can take care of the cat litter box. If that is not possible, it’d be wiser to use gloves and wash them and hands with soap after the scooping. But rest assured, it’s not even close being the reason why should you ditch your cat. Similarly, no one gets rid of their toddlers in they pull by the tail, or squeeze cats, right? Luckily, nowadays this cat myth is beginning to fade; however, many of the the above are still very alive, and appear are not willing to go. 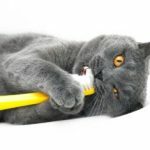 We just hope this article will help shed some light over most common myths and misconceptions about cats.